As in any start-up project, many changes have taken place at Forest since our official launch last May. Between improving our product (lots of new features, Pro and Custom plans, and more), growing our team (by the way, we are still hiring 😉), and onboarding many companies from a variety of sectors, Forest has evolved enormously in these past months. How to describe our solution as well! Although the SaaS sector is extremely mature now, being the first is always harder than coming second. We have to put more energy in educating the community and finding the right words to explain what our concept is. Sure, we are not the only one in this situation. But it is obviously more complicated to explain the value of the product to both teams and to synchronize it with their internal needs. The same as Trello: a standard UX/UI interface, common for all customers, with endless ways to use it. Indeed, even if there are similar use cases, features, third-party integration between them, each back office is specific from one project to another. Albert Einstein once said, “The definition of genius is taking the complex and making it simple.” As complex as it may look, anything can be explained to anyone. A true inspiration for us! Two months ago, after announcing our seed round fundraising, we decided to tackle the problem of the difficulty in explaining Forest’s concept and to start working on a new way to showcase our product. The goal was to better conceptualize what Forest is in a meaningful way, to make sure everyone can easily understand the multiple potentialities of our solution. Ironically (and just for the record) Forest is often assimilated to a dashboarding tool, when in fact it is just one of its many features. Bizarre, because it was never marketed that way. There was something wrong with our communication, for sure. Our Head of Sales Tancrede Le Merrer and Product Designer Orry Barbosawere in charge of this project. While the former had already started to work on it and to power up his sales pitch, the latter, who has just joined the team, had a fresh vision of how to improve our visual communication. For the past two months, they collected valuable feedback from the community (prospects, customers, VCs) and the different internal teams (tech, customer success & support, marketing). After many interactions and hours of exchanges and reflections, they came up with the “BORSMLC your data” concept! 🤔 BORSMLC … what does that mean? Browse, Organise, Reconcile, Streamline, Manipulate, Listen to, and Collaborate on your data! During its lifetime, your company will create and aggregate a huge amount of data, from user/customer/employee information, to invoices, documents of every kind (.PDF, photos, and more) or software use, etc. Depending on your company’s life stage (read more about how a growing startup is all about evolution, just like in Darwin’s theory 👇), the quantity, organization, and management of all these data are likely to vary a lot. If you want your business to take off, you need to focus on your operational efficiency and control over all of this data. A growing startup is all about evolution, just like Darwin’s theory. 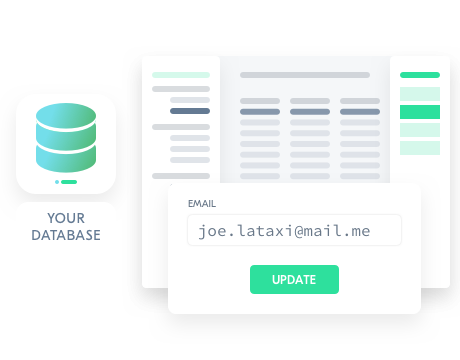 As the only SaaS directly connected to your database, and without ever accessing its data, Forest can definitely help you with this. 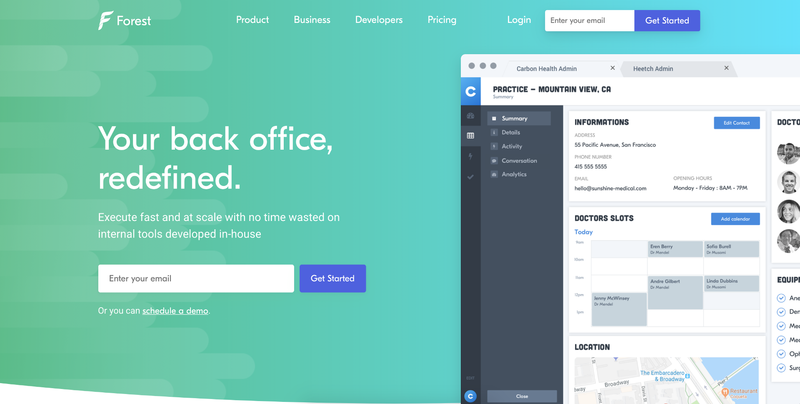 At each step of your company’s needs, from raw data to data that’s well-organized and well-managed one, our back office solution will offer you an elegant and efficient tool for having complete control over your data. Forest enables you to unleash the power of your data in the simplest way. Thanks to our Summary View feature you can tailor your back office to your operational needs by providing an aggregated view of all the key information to your business operations. 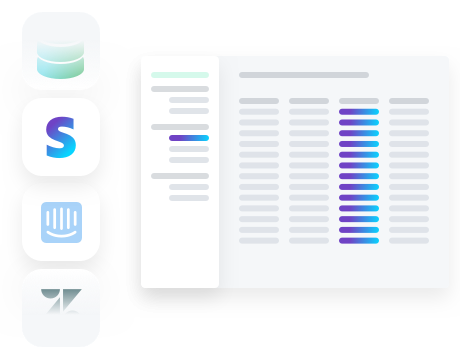 In real time, you can read all your data from your very own database in a structured way. We also built a powerful search feature that your team can rely on. Backend architecture can be immensely complex. 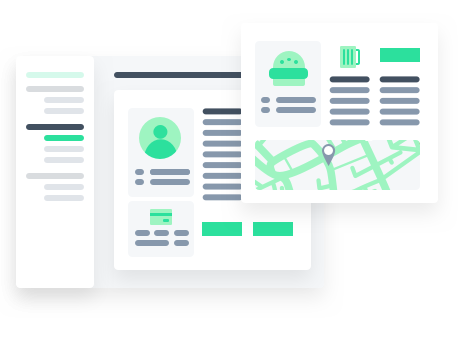 Forest will scan your Object Relational Mapping (ORM) to retrieve the database models, and generate an admin REST API that will communicate directly with our back office interface. 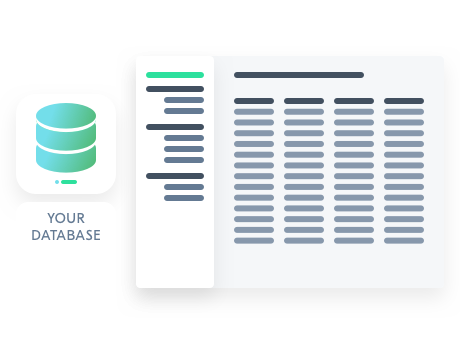 Forest lets you filter and segment any group of records in your database natively thanks to its powerful set of operators. The SMART features and the Layout Editor allow you to customize your admin to your specific business needs. These features enable you to handle 100% of the processes you’re willing to implement to make your company execute faster. There are virtually no limitations! More often than not, managing your business efficiently implies analyzing data spread across multiple platforms. Forest gathers all these analytics in a single interface and links them with your application’s data so that your operational team can handle requests with agility. Forest fits into your existing workflows and provides you with a framework to streamline those business processes effortlessly. Seamlessly build, organize, and execute your business workflows within the interface. Perform all your basic Create/Update/Delete (CUD) operations out of the box, no extra configuration required. Use Forest to filter the data you need and easily export it as .CSV files whenever you need to. Keeping track of your user activity can be a tedious process if it is not set-up appropriately. Forest provides you with the right tool to monitor the performance indicators that matter at the record level. 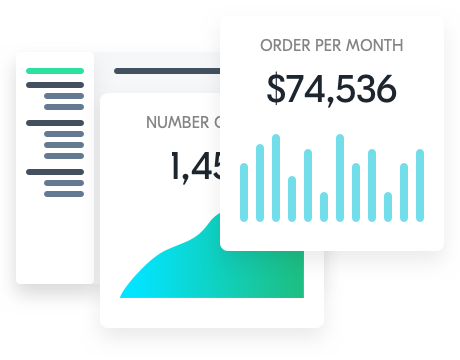 With the Analytics per Account feature, systematically conduct a thorough monitoring of your data, anticipate and predict your customer’s needs before they’re even able to formulate them, for better lead nurturing, trial conversion, and upsells! As your team grows, so do all the little things it takes for your operations to run smoothly. 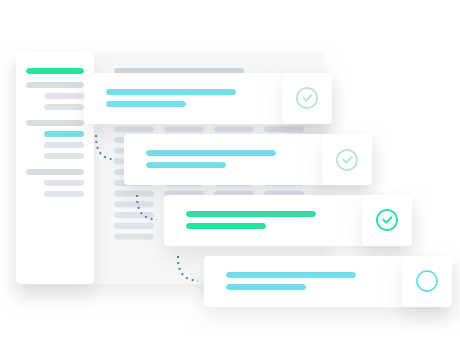 With Forest, you can assign your teammates specific tasks, leave a note, or simply comment a record, simplifying collaboration and productivity all across your office. 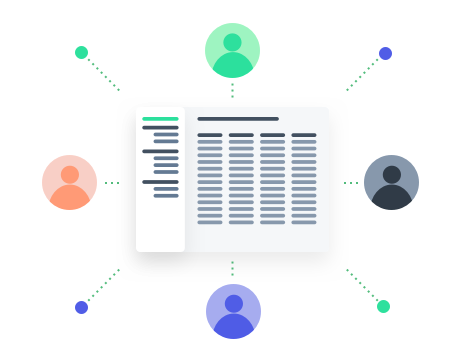 With Forest’s user management system, you can keep control over who has access to which content among your organization’s people. From now on, these seven words will help us in our journey to educate everyone who is interested in or who needs a back office solution. They will also enrich each piece of our content from Marketing (e.g., brand awareness, case studies, use cases) and Sales (e.g., emails, decks) to Customer Support and Success (e.g., knowledge base) and Tech. (e.g., Github). If you want to discover more about these seven words and all Forest’s features, we invite you to visit our new website! Here is the other side of the project story behind our new website. Actually, our new website design has something to do with design! You can also follow us on Twitter, Facebook, LinkedIn and Github 😍 to stay on top of our news! As a traditional bank, they had to define highly efficient and well-structured processes to their core business. They also had to conform to several regulatory provisions. We’re onboarding more and more fast-growing companies (ex. Qonto, Heetch, Carbon Health…) at an incredible pace and we want to accelerate our expansion!